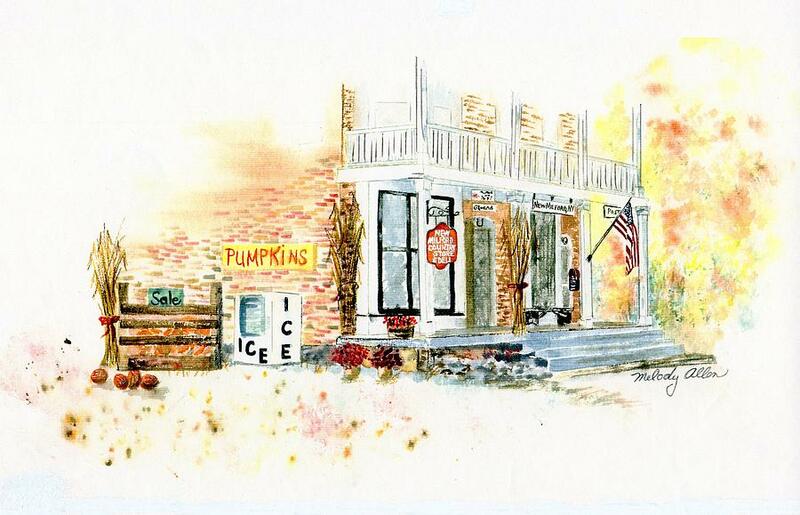 New Milford General Store is a painting by Melody Allen which was uploaded on October 5th, 2010. Old general store in a red brick building has a white wooden front porch with an American Flag. Pumpkins are for sale. Old ice machine outside. There are no comments for New Milford General Store. Click here to post the first comment.